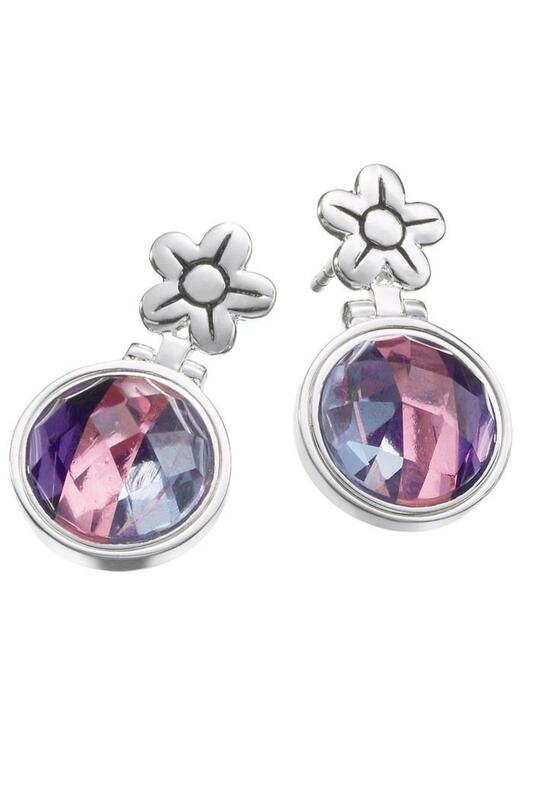 Michou Mountain Snow Collection Style # 176041 Earrings. Style # 176041. These snowflake earrings are an essential part of your winter wardrobe! 100% handcrafted in Sterling Silver and 22kt granulation details, these frosty beauties are from the Mountain Snow collection from Michou. 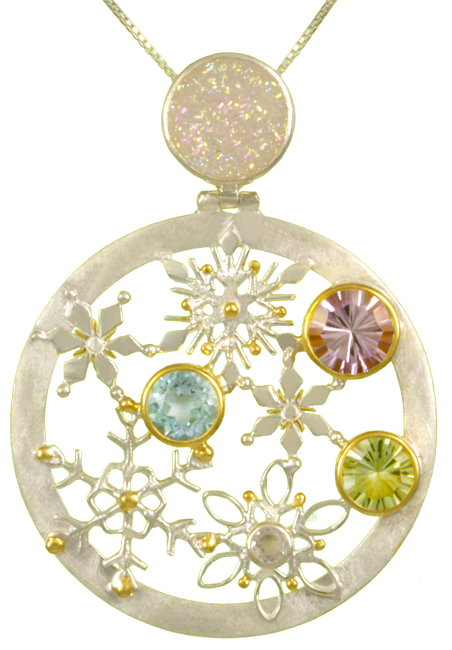 Each gemstone featured in a Michou design is hand selected. 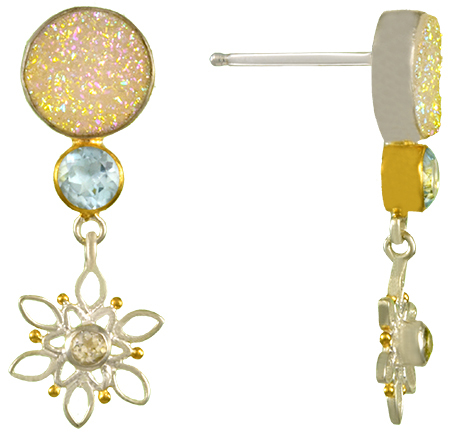 These earrings feature Aurora Druzy, White Topaz, and Sky Blue Topaz. We’ve seen a lot of jewelry that features Druzy Quartz, but never ones that sparkle like the ones featured in these earrings! These druzy have incredible fire and depth giving them a frosty coolness and warmth at the same time! 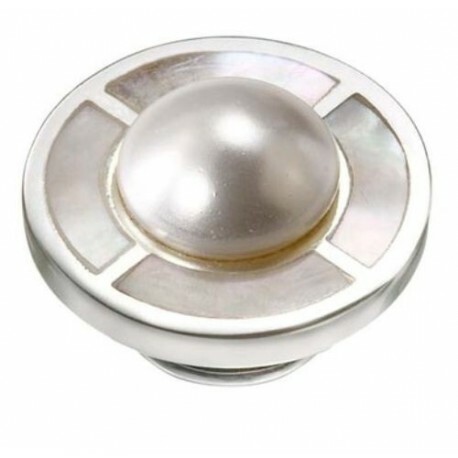 Although the picture makes them look yellow, they are a silvery pearl white. 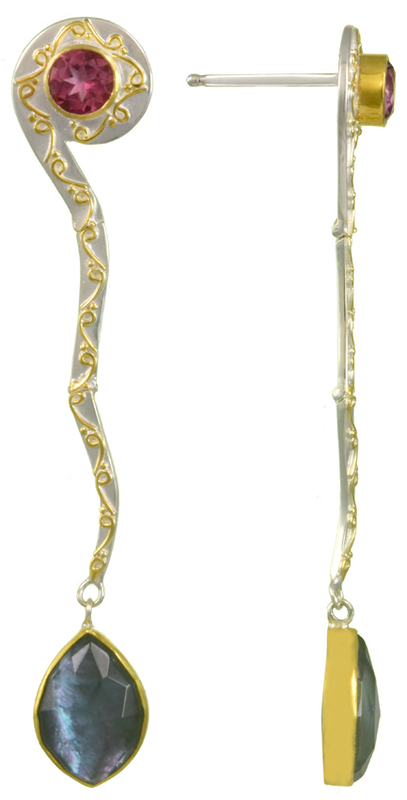 You won’t want to miss the matching pendant style # 176042 also featured on our website. We are so impressed with the delicateness of the snowflakes. Just like their natural form, these snowflakes are very detailed. You can tell that the artisans who hand make all of the pieces in the Michou line take their craft to the highest level – which is one of the reasons Michou is referred to as “Art to Wear”. I have worn these earrings myself and am amazed at how comfortable they are to wear – not heavy, although they do have a larger surface area earring back that holds the earring on the ear securely and in the position it should be.